With the unemployment rate in UK hitting 7.90 percent in February of 2013, it’s nice to hear that that sandwich chain Pret A Manger is planning to create an extra 550 jobs in the country. The chain already employs around 5000 workers in the UK and has plans to add an additional 1,000 jobs worldwide, with another 50 shops to open in the rest of the world. The announcement came after Pret a Manager reported a 17% rise in profits to £61.1m in 2012, with sales also up by 17% to £443m, while in 2011 they had reported sales were up 15% to £377.3 million and profits were up 14% to £52.4 million. Chief executive Clive Schlee said 2012 had been a "strong year" for the firm. Pret A Manger, opened its first store in 1986 and are up to 323, after last year’s 36 new openings. which they said was made possible by negotiating cheaper rents. The group was bought by private equity fund Bridgepoint in 2008 (who also happens to own MotoGP and the World Superbike series) for £345m and the sandwich chain also has stores in Hong Kong, Paris and the US. 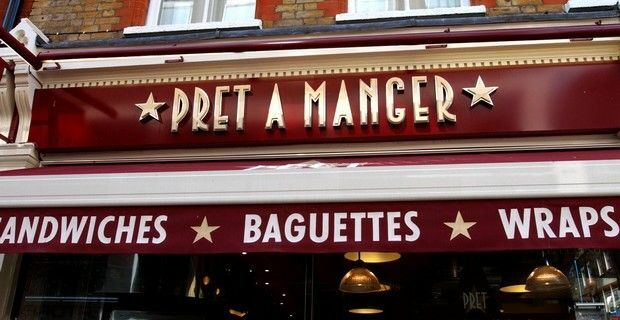 Pret a Manger previously said that it welcomed all applicants to its "cosmopolitan" workforce and have also expanded their apprenticeship scheme to the homeless, but they did reveal that 20% of workers are now from the UK, compared to 17% a year earlier. "We are proud of the fact that our jobs are open to everyone legally able to work in the UK, no matter what their background”, said Pret a Manger.